It’s that time of year when local artists are planning an evening of art work, from t-shirts and ball caps to aprons and tote bags, all to support Helping People Succeed and its popular White Shirt Night, benefiting Camp Success, an eight-week summer program for students. On hand for the evening will be 12 artists showing their art work in scenes from riverscapes, backwoods scenes, pelicans, egrets, turtles and much more. 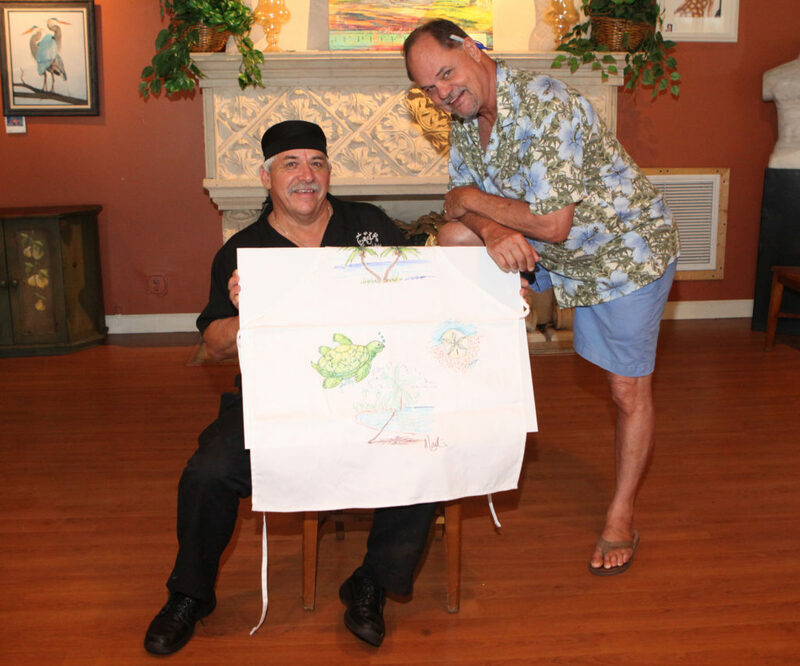 Each artist will design and present three or four scenes for guests to select for painting. Tickets for general admission between 6:00 and 9:00 p.m. are $50 per person and include a drink, hors d’oeuvres and a t-shirt. A special Meet and Greet with the artists, $100.00 per person, between 5:00 and 6:00 p.m. will include two drinks, hors d’oeuvres and a selection of one of the White Shirt items to be “painted” by an artist. Guests may RSVP at 772.320.0778 to Glenna Parris at Helping People Succeed or online at www.hpsfl.org. Sponsorship opportunities are also available.